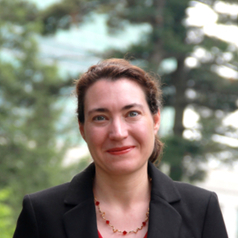 Cecile Viboud is a senior research scientist in the Division of International Epidemiology and Population Studies of the Fogarty International Center, National Institutes of Health, USA. Her research focuses on the epidemiology and transmission dynamics of acute viral infections, at the interface of public health and computational modeling. Her work has primarily concentrated on the epidemiology of respiratory viruses and pandemic influenza, but she has recently become interested in the potential of Big Data to strengthen infectious disease surveillance and forecasting approaches. A native of France, she received an engineer degree in biomedical technologies from the University of Lyon (1998), a Master of Public Health (1999) and a PhD in Biomathematics (2003) from Pierre and Marie Curie University, Paris, France.